Schleich - Tournament Blanket + Halter. Tournament blankets don't just look amazing, they also prevent unpleasant surprises. If the horse lies down at night in their stall without a blanket, their coat often gets very dirty. This can quickly make the rider panic on the day of the competition, because they have to start the brushing and cleaning from scratch again. Tournament blankets often double as practical anti-sweat blankets. The breathable material allows the coat to dry extremely quickly. 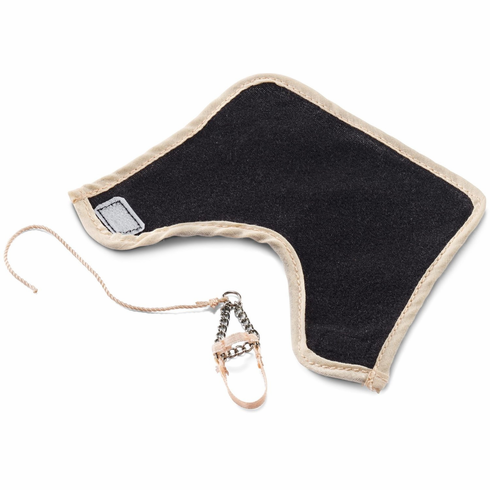 This protects the horse from developing muscle tension or chills after running a course that brings them out in a sweat.